yours. Jupiter is in your sign and bestows wisdom and prosperity. With Saturn transiting your house of speech, your 2019 horoscope warns you not to be too direct while speaking, as it may not always work in your favor. As Rahu changes signs in March, an unexpected interest in a secretive work might catch your attention or you may attempt to earn out of parental property. By the end of April, Jupiter and Saturn retrograde. There could be some monetary problems and quarrels within family. Mars debilitates on 22nd June. Make sure not to take any important decisions around this time, dear Scorpio. The 2019 Scorpio horoscope suggests you take care of your health during this phase. Your financial condition seems to improve after September and professional income may also increase. 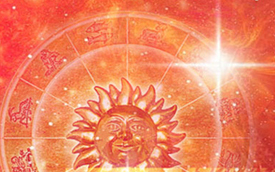 2019 Horoscope indicates travel abroad and all foreign related work will see successful completion. 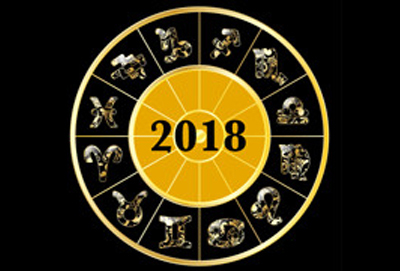 Your 2019 horoscope shows possibility of meeting an old friend around the end of 2019 that will be a peaceful and happy experience. Jupiter stays in Scorpio till 30th March. From 30th March to 22nd April, it will move into Sagittarius and then again, till 5th November, it till transit Scorpio. Jupiter retrogrades from 10th April to 11th August 2019. Saturn will remain in your 2nd house in Sagittarius throughout 2019 and will retrograde from 30th April to 18th September 2019. Rahu is transiting Cancer as 2019 starts. From 7th March, it enters Gemini for the rest of the year in your 8th house. Ketu moves into your 2nd house in Sagittarius from 7th March. Mars transits your 5th house in Pisces at the start of 2019, Scorpio. Scorpio, 2019 seems profitable for your business, though lack of funds might affect your investments. Things are likely to improve after September. A new project from a foreign company may bring financial profits and boost your future prospects with a rise in your reputation. Diplomatically control your speech, as soft and carefully spoken words can turn the tide in your favor. Your 2019 horoscope suggests you to avoid starting a new work around mid-2019, Scorpio. If working in a partnership, consult your partner before taking any decisions. Money related paperwork or check might cause some problems with your work partner. If in a job, the year starts on a happy note, with a possible promotion and new projects on the cards. Avoid considering a job change after April and work harder in your current job. An argument with your senior or boss is indicated around mid-2019, thus, be careful and avoid such incidents. Matters seem to improve after October and your efforts will bear fruits now. Scorpio, a raise in salary near the end of 2019 may fetch you appreciation from your boss. The Scorpio financial horoscope for 2019 brings mixed results. The year could start with a heavy purchase. Financial condition seems average till March and you should spend economically now. Lack of funds might not allow any investments in this period. 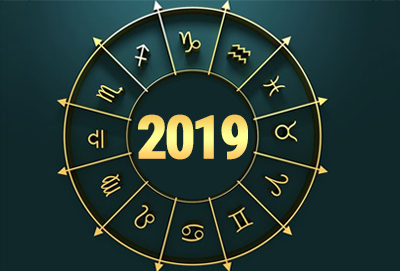 Your 2019 horoscope speaks of sudden gains after March and you may invest profitably in land or spend on home decoration. Wasteful spending is possible on a female this year, and your horoscope suggests you to avoid it. From May onwards, shortage of money might stress you out and cause tension. Some relief is expected after September. 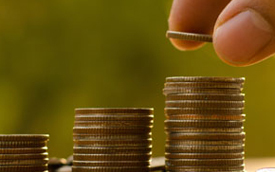 Investments in share market seem profitable around September. If planning to take a loan, avoid doing so from May 2019 to September 2019. Things would be normal after September and all money related problems will be sorted. Near the end of 2019, the Scorpio financial horoscope speaks of financial profits and you should readily use this money to payback your loans. Avoid spending too much on an old vehicle, it could be a wasteful expense. Scorpio, your 2019 love and marriage horoscope speaks of a romantic year in store for you. Romance will fill your life in 2019. 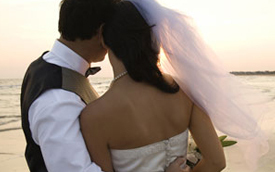 Your lover will fulfill your expectations and you may soon decide to tie the knot. From April onwards, doubts and misunderstandings might possibly affect your relationship. Your 2019 love and marriage horoscope suggests you try to sort any issues at the earliest for betterment. Between July and September, an old lover might return in your life, though you should avoid starting a romantic relation with them. A friend might help you getting married around mid-2019. This year brings mixed results for marriage life. Frequent short trips with your spouse may keep you busy at the start of 2019. Exchanging surprise gifts with your partner will keep things smooth. Your 2019 horoscope indicates that your partner might help you financially this year and suggests you should keep realistic expectations from your soulmate. You may plan a foreign trip with your partner this year. 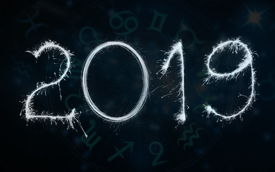 Around the end of 2019, your horoscope speaks of possible arguments with your partner or family members. Health wise, 2019 seems average. Your 2019 health horoscope indicates some expenses on your well being as the year starts. Drive carefully and be alert while traveling at heights. A blood related problem such as blood pressure etc. might cause problems around mid-2019 and you should not take it lightly. Your horoscope speaks of a possible eyesight related ailment, which would require timely treatment. Scorpio, if you suffer from back or leg aches, avoid exerting yourself physically and take ample rest. Take care of your children’s diet. Scorpio, your 2019 speaks of a busy year with a hectic traveling schedule. Number of religious trips seems to increase this year. From March onwards, an expensive foreign trip is possible that might remain non-beneficial and thus, cause stress. 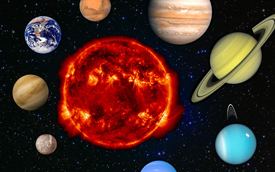 From 22nd June, a debilitated Mars transits your 9th house. Your 2019 horoscope suggests you avoid any long journey in this period and stay away from any arguments while on a pilgrimage. Around the end of 2019, you may have to travel abroad to meet someone. The Scorpio family and children horoscope for 2019 hints at considerable improvements in your family relations. Prevailing issues with family members might continue to trouble you till mid-2019 and you will have to take initiatives to resolve them peacefully before it is too late. A land related dispute might further spoil relations. Your horoscope indicates that your mother might not support you now and your father may be pivotal in improving the condition. Planning a pilgrimage with your parents would help you find peace of mind. Support from younger siblings might be missing and a small party or get-together can make things better. Scorpio, your 2019 children horoscope indicates that an expense on children might disturb your budget this year. Near mid-2019, their studies might suffer and lack of desired results may be stressful. Their dream to study abroad would need more hard work and better academic results. Thus, the 2019 horoscope suggests they start preparing in advance to avoid delays later. Participating in a competition around the end of 2019 would earn you prizes and appreciation from your teachers or professors.